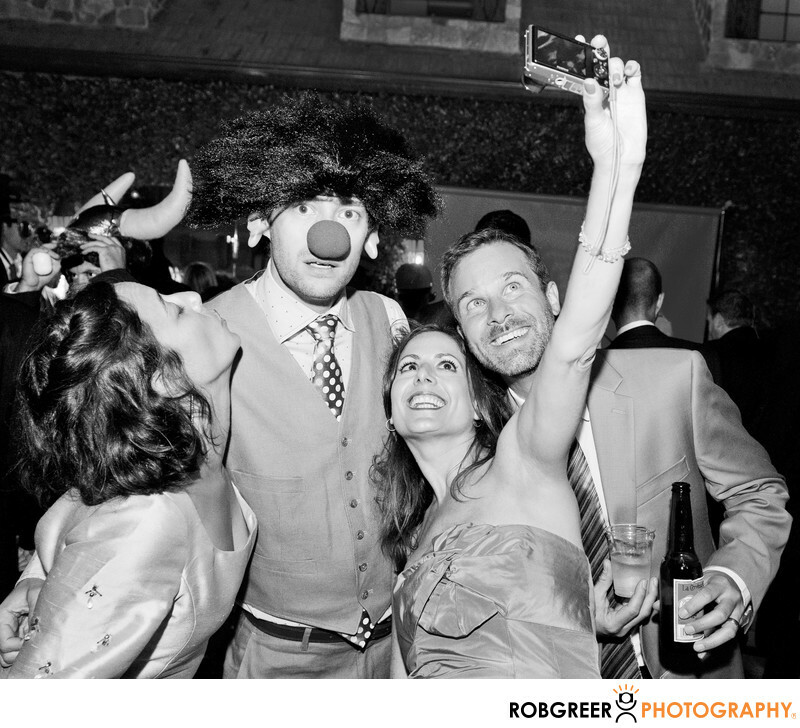 Taking a selfie at a wedding is ubiquitous these days, and this Stone Manor event, that was no different. For this particular Malibu wedding, I was providing Photo Booth services and props. These guests were standing in line, waiting to be photograph by one of my assistants. When I saw that the group was about to take a selfie, I thought it would be a good idea to capture it as well. For some reason, that seem to irritate one of the guests. As everyone else was about to participate in the photo, this guest looked at me with a "What in the hell are you doing?" look. And that's when I snapped this picture. The incongruity of the guests expression when compared to the expressions of his friends is what makes this image unique to me. As I stare at this photo, I often wonder why he was disturbed by me taking this photograph. And perhaps I am wrong. It might've been that this guest was looking at me waiting for direction for an official photograph. Or maybe he thought I looked like a famous movie star and was surprised. Regardless of what he was thinking, he allowed me to create a memorable wedding photograph at Stone Manor in Malibu. Stone Manor is located in Malibu, California. Phone: (310) 457-0094. Website: https://www.stonemanorestate.com/. Location: 6219 Porterdale Rd, Malibu, CA 90265. 1/60; f/4.0; ISO 1600; 24.0 mm.